BEST DEALS ON 2019 GOYA WINDSURF COLLECTION! 2019 NAISH KITES NOW IN STOCK! Big Winds for Windsurfing, Kiteboarding, Stand Up Paddling and NOW E-Bikes! We stock the very best brands for Windsurfing, Kiteboarding, Stand Up Paddle and E-Bikes! 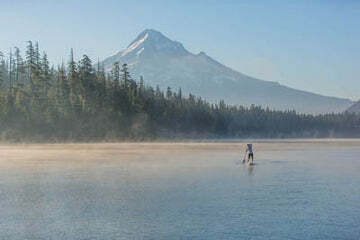 Established in the Columbia River Gorge in Hood River, Oregon in 1987, Big Winds is one of the largest windsurfing, kiteboarding and stand up paddleboarding product and accessory stores in the United States. Our staff members are experienced players who are passionate about their sports and equipment and ready to offer expert advice. In addition to an enormous rental/demo fleet for all skill levels, our windsurfing and stand up paddleboarding school is one of the best in the Pacific Northwest and our lesson programs include kids camps, junior camps, and private and group lessons for men and women of all ages. Visit our retail shop or give us a call today for a relaxed, informative talk about windsurfing, kiteboarding and stand up paddleboarding gear and accessories. The Boxer is back! Naish claims this lightweight, one-strut kite is easy to launch, travel with, and ride with virtually no flutter. So what's TJ's take? Naish’s 2017 Torque Below the Bar control system claims to make life simple. TJ offers his take straight from the water. The North Rebel has a cult-like following, and has been one of Big Winds' best sellers. Matt Morrow puts the 2016 model to the test! Big Winds manager Jason Watts can ride any kite he wants. Last summer, he rode 2016 Carbinha Drifter almost exclusively. Here he explains why, and whether the Drifter is a kite for you. Big Winds manager TJ Guilizia put the 2016 North Neo through its paces. Here's his take on what it does right, wrong, and whether it's the kite for you.